10 is not enough for this "Green Village". This is not a hoter, it is not just Bungallows. This is something you have not seen ever again. We are talking about a traditional Village in small scale where each House is a small studio. Green Village is really "Green". It is full of trees. You actually feel living in a village and this is not a false impression. You do Live in a village. Houses (rooms) are very clean and each House has its own mini garden. At nights you can sit in your garden under the lemon-trees and watch the sky!!! This is great experience! Stuff is great! Costas, who is the owner, is a Real artist (painter). You will see a lot of his paintings inside the Green Village. Only an artist could design a village like this. Do not expect to see anything in the photos. Photos show only a small percentage of the reality. This is a lifetime experience. Gongratulations to Costas who made his dream Real. In a scale of 1-10. Green Village is rated with 15. Quiet place, comfortable, beautiful garden with lemontrees. The beach was close inough. The host was nice, we receveid even a gift from them, a beautiful paint with Xylocastro bay and mountain! Beautiful place to stay wether you are a family or on a romantic break there is a relaxing atmosphere in the complex. The staff were friendly and kind, nothing was a problem they were only too happy to help. Villas were cleaned every day including Sunday by two lovely ladies who were also friendly and kind. 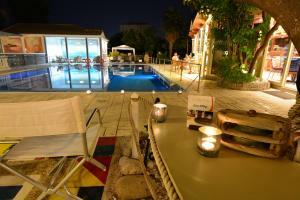 The pool area is great there are a variety of seating options and sun beds and the bar. It was about a 10 minute walk to the beach, marina and bars. There is also a large supermarket 2 minute walk from complex. Not that we had a pet but the complex is pet friendly many other families had dogs with them. Excellent choice for families with small children! It is amazing place. 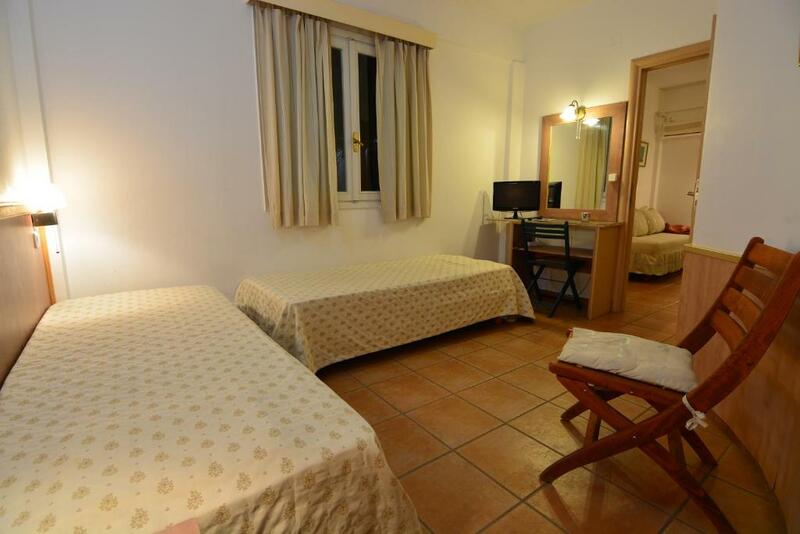 It is very well located close to the beach and centre of the town and at the same time it is kind of get away with nice garden , swimming pool. It has a gallery with owners paintings and beautifull tiny chapel (very charming). It is amazing. I will come back there. Everything was really exceptional! Very clean, very friendly and accommodating staff. I will go soon again! The lady owner is very nice and communicative. The pool area is the hot spot of the place. It is also very close to an unorganized pebble beach. 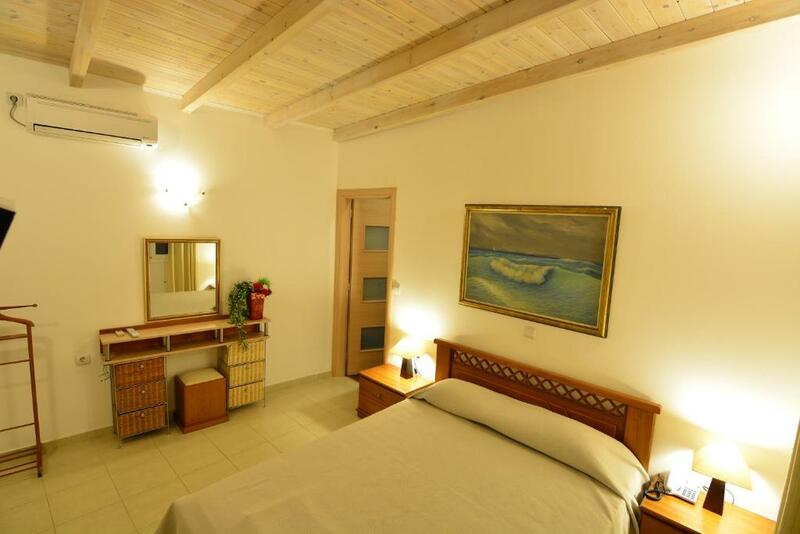 It is set amidst lush vegetation, and very close (5 min by car) to organised beaches. L'environnement est enchanteur avec ses arbres fruitiers (citrons, Orange et olive.Les maisonnettes sont très jolies et sont un oasis de verdure en pleine ville. Merveilleux ! Ήταν η τοποθεσία και τα σπίτια φοβερά. Ήρεμα γαλήνια και πολύ ξεκούραστα. Θα πήγαινα πάλι με μεγάλη μου χαρά. 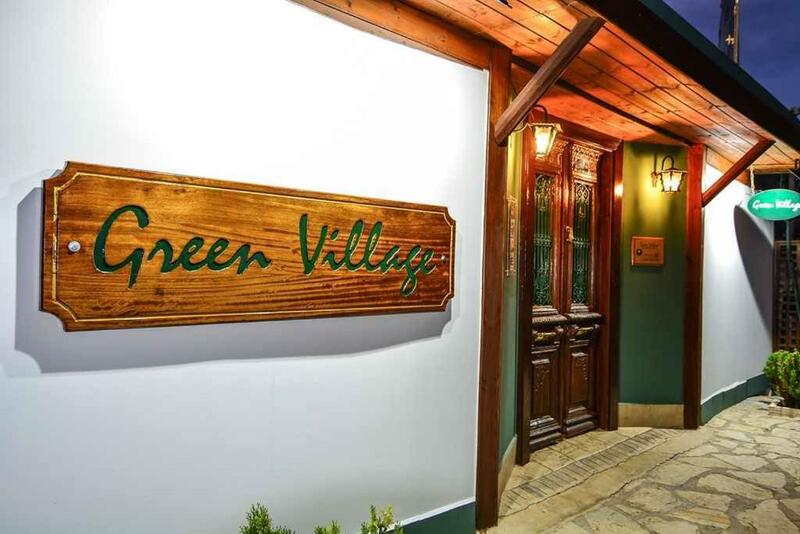 Lock in a great price for Green Village – rated 8.9 by recent guests! 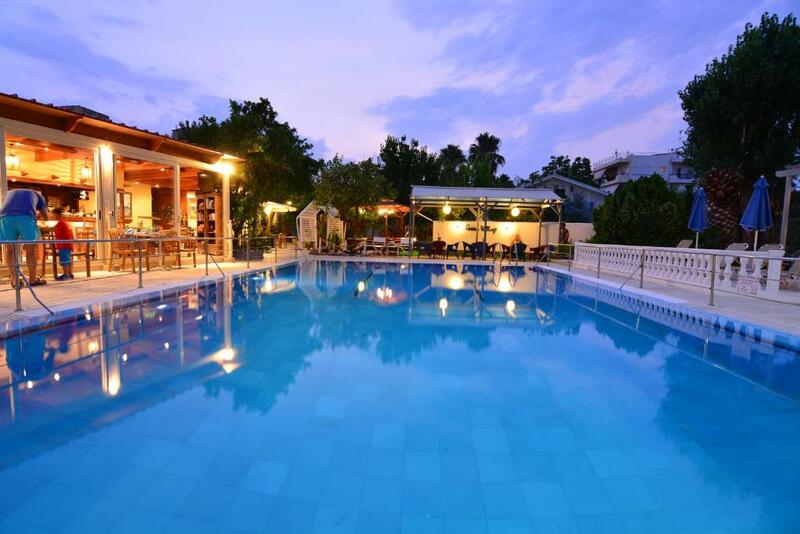 Located in Xylokastro of Korinthia and set amid a garden full of citrus trees, Green Village features a pool with a poolside bar. The property also includes a children’s playroom and a mini soccer field, and offers free Wi-Fi throughout. The air-conditioned cottages of Green Village have a seating area with fireplace and a kitchenette with fridge and cooking hobs. Each features a flat-screen TV and a private bathroom with shower cabin and a hairdryer. All units open to a furnished patio overlooking the garden. Breakfast is served daily at the dining area, while guests can also enjoy a coffee or a refreshing drink at the self-service bar. Taverns and mini markets can be found with a walking distance. The beach of Xylokastro is 500 feet from Green Village, while the mountainous village of Trikala Korinthias is 12 mi away. The scenic Kalavryta Village is at a distance of 37 mi. Free public parking can be found on site. 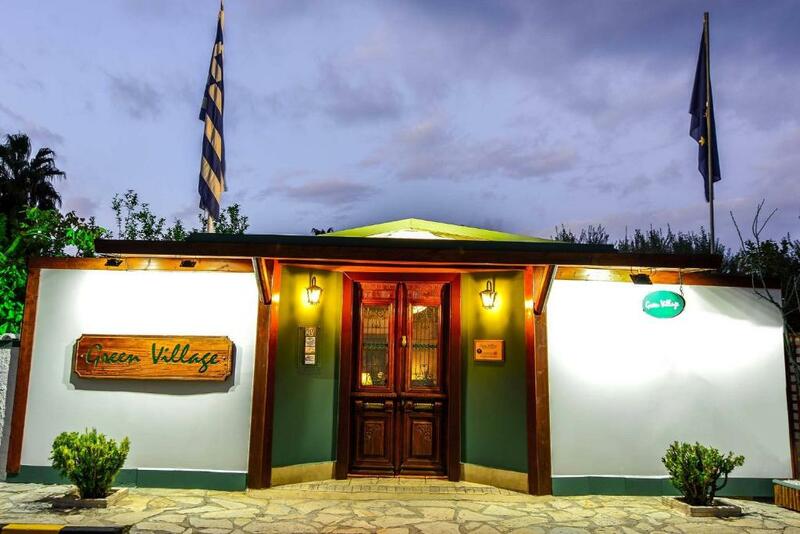 When would you like to stay at Green Village? Opening to a garden-view patio, this air-conditioned cottage features an attic and a seating area with fireplace. 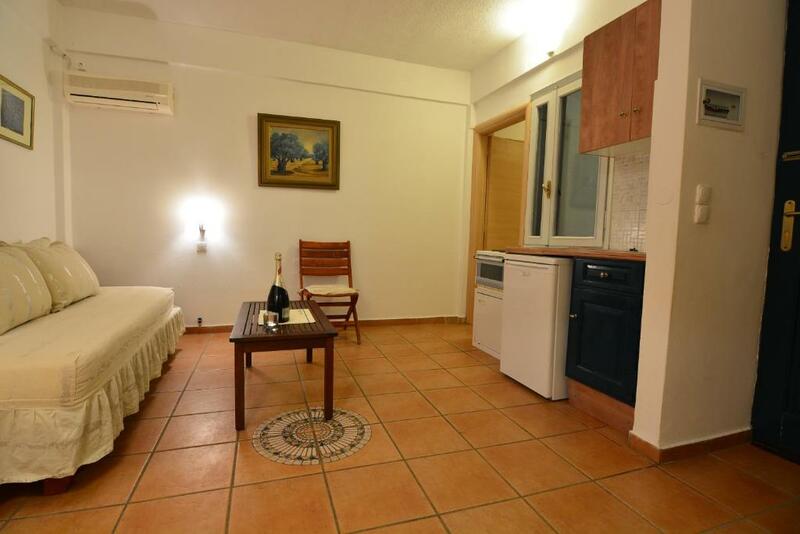 It has a kitchenette with fridge and a private bathroom with shower cabin. A flat-screen TV and free Wi-Fi are available. Featuring 1 bedrooms and a separate room with 2 single beds and fireplace, this air-conditioned cottage opens to a garden-view patio. 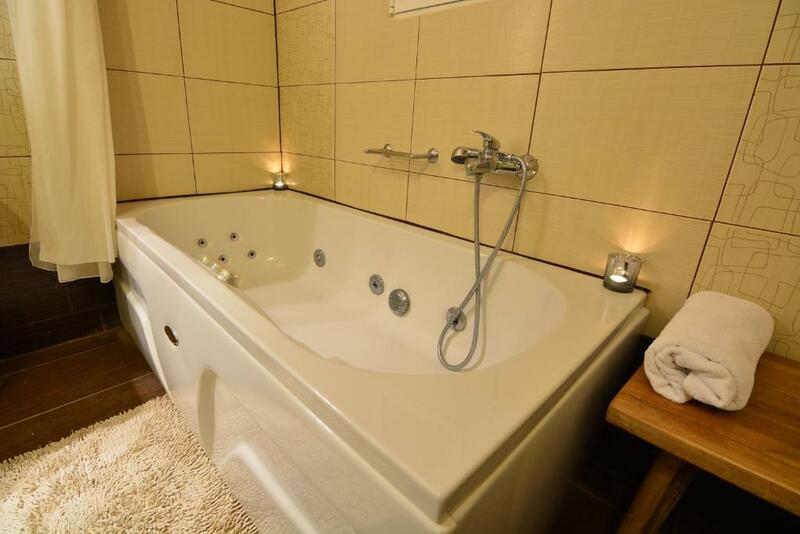 It has a kitchenette with fridge, and a private bathroom with shower cabin. A flat-screen TV and free Wi-Fi are available. This bungalow features a patio, electric kettle and fireplace. House Rules Green Village takes special requests – add in the next step! Green Village accepts these cards and reserves the right to temporarily hold an amount prior to arrival. Please note that children up to 3 years old are offered free breakfast. Please inform Green Village of your expected arrival time in advance. You can use the Special Requests box when booking, or contact the property directly using the contact details in your confirmation. there is no restaurant for evening meals in the complex. But we did notice people getting food delivered, only problem for us the menus were in only Greek. However, the hotel is seriously, but seriously outdated! Needs urgent refurbishing! Mattresses are extremely uncomfortable, to the point that one can't rest well at night, which is one of the main reasons one wants a holiday- that is to rest! Also, the hotel is set amidst lush vegetation, which on the one hand is a beautiful sight, but on the other hand makes it impossible to leave any window open, due to the countless insects from the trees around- meaning that the windows have no insect nets, which would have been compulsory under the circumstances. Also, while I may understand that investing in new furniture is a major expense, there is no excuse for the quality of the breakfast, which was simply average. And I say no excuse for any of the hotels in Greece, not to serve an excellent breakfast. Doesn't need to have countless choices, but with so many fresh, local products which the Greek land has to offer there is no excuse for Greek hotels to serve anything less than a healthy, fresh breakfast from local seasonal products.